I'm going to start doing some Before and After makeup on some friends/model/clients and will be sharing them on my blog. Last weekend I caught up with a wonderful friend of mine. She had finally passed her last CA exam! Congratulations to my lovely friend Astrid. Well done! I bought dinner from a trusty Malaysian hawkers on my way to her house with my loaded ready to give her a makeover and my DSLR with a Speedlight attached ready to capture the difference. Above is all I used. The contour shade in Trenchcoat was also used to contour the cheeks, however this shade cannot be overloaded or can start looking very grey. Something as simple as this is suitable for daily wear be it work or going out. Sometimes less is more and it's all you need to even out the skin and cover blemishes and highlight/contour the features of your beautiful face. Astrid was happy with the look and wanted to learn how to do her makeup like this, so I'm looking forward to teaching her and going shopping with her to get new products to recreate the above makeover. omgosh she looks sooo amazing and polished in the after picture!!! you are so talented babe! It shows how a little goes a long way. Sometimes putting on too much just isn't that nice. 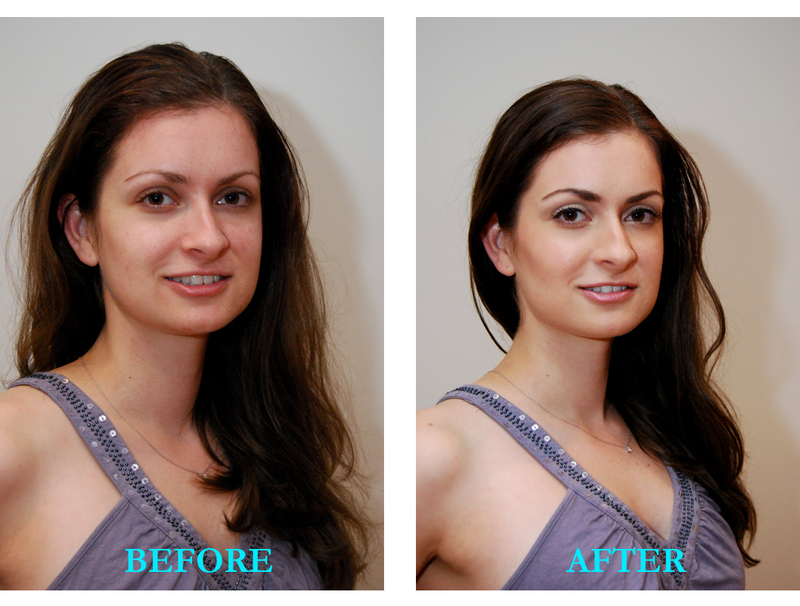 She looks great, I love before and afters! I'm thinking of getting F&B when I go to the US, would you recommend it? In regard to your question about the F&B foundation. As a makeup artist the Makeup Forever Face and Body is way better than the MAC face and body foundation. However it is a little tricky to get right. I chose MAC simply because it is easier for me to stock in my kit as I can order it from Melbourne with my MAC Pro discount. Face and body is a water based foundation that is thin, but you can build coverage by layering it on. I find it best to apply this foundation by hand, brush for a heavier coverage. It's a big NO NO with a sponge as that will just soak it all up (water based foundation). Whoa! It's always amazed me how makeup can make your skin look so good! yes! MAC Face and Body is a light foundation too. Wow, she looks amazing! I love the before/after idea! She is beautiful but after makeup she is looking awesome. You have done a great job.